I made the 3D Crocus In The Snow shadow boxes item #55416 by Marji Roy early in the spring. You can see the tutorial for these HERE. I resized them as large as I could go on 12 x 12 card stock and changed up the colors on the crocus a bit. They made a lovely display in my living room. I've enjoyed them very much but my friend came over a while back and said it was time to change them out that it wasn't spring any longer. Well, I didn't get to making anything for summer and fall is almost here so I just moved on. I made the Sunflowers Shadow boxes item #65230 also by Marji Roy. Her instructions can be found HERE. I didn't resize these. I just made them exactly as shown. Finished size is about 6.5 square. So, now I'm ready for fall. I used Soft Sky cardstock for the background and I highlighted it a bit with a sponge and Soft Sky ink. It's very subtle and hard to see in the pictures but it makes a big difference in the look when you see it in person. The leaves are cut from the new In Color Mossy Meadow, The sunflower petals from Crushed Curry and the frames from Basic Black. I'm off to find more fall decor ideas. I'll be back soon. 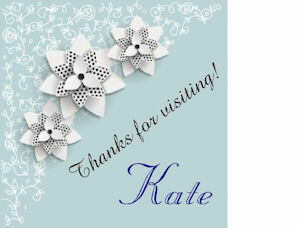 Thanks for visiting, and leave me a comment - I'd love to hear from you.